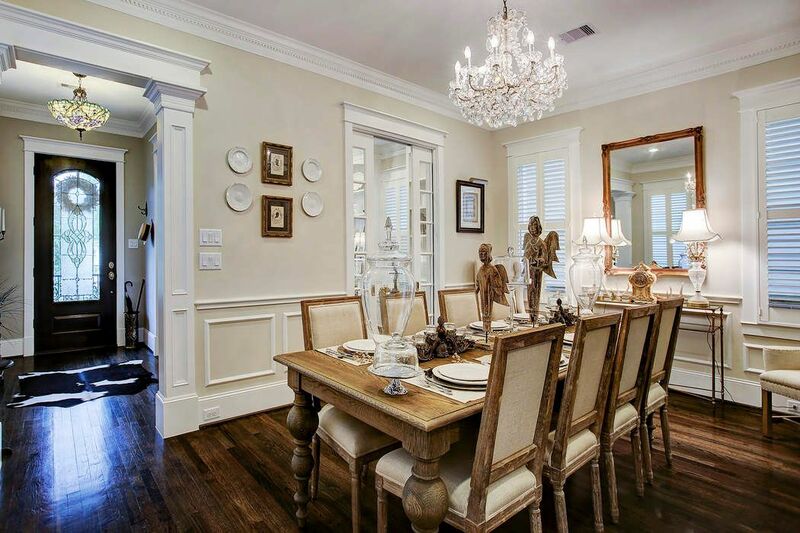 523 West 22nd Street, Houston, TX 77008 | Martha Turner Sotheby's International Realty, Inc. 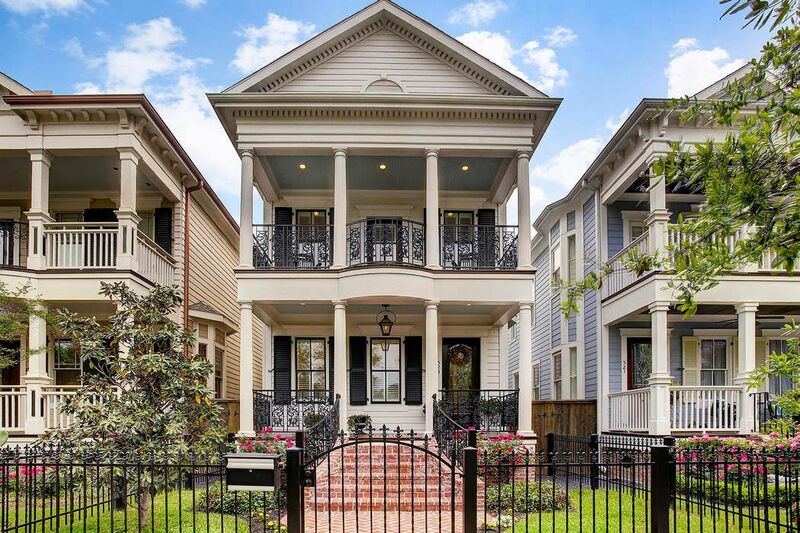 EXTERIOR: Gorgeous 2-story New Orleans style architecture built by Sullivan Brothers. 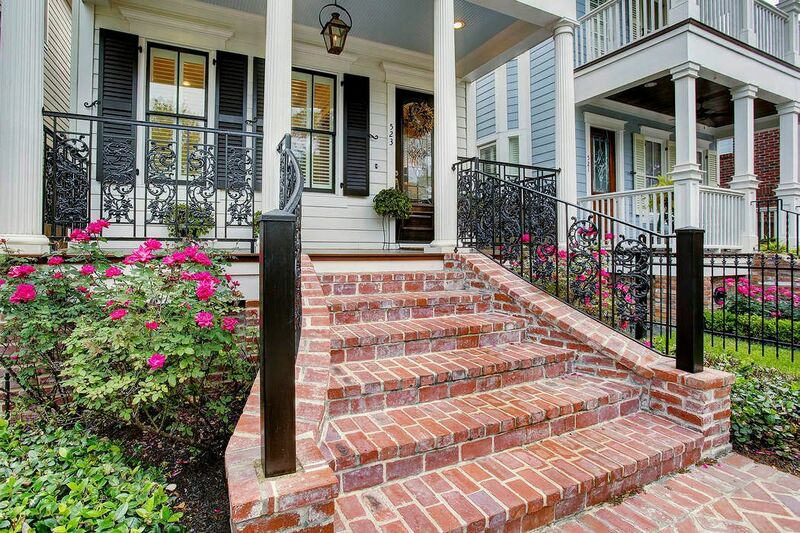 EXTERIOR: Charming entry gate with landscaping as you step up to the beautiful front porch and door! 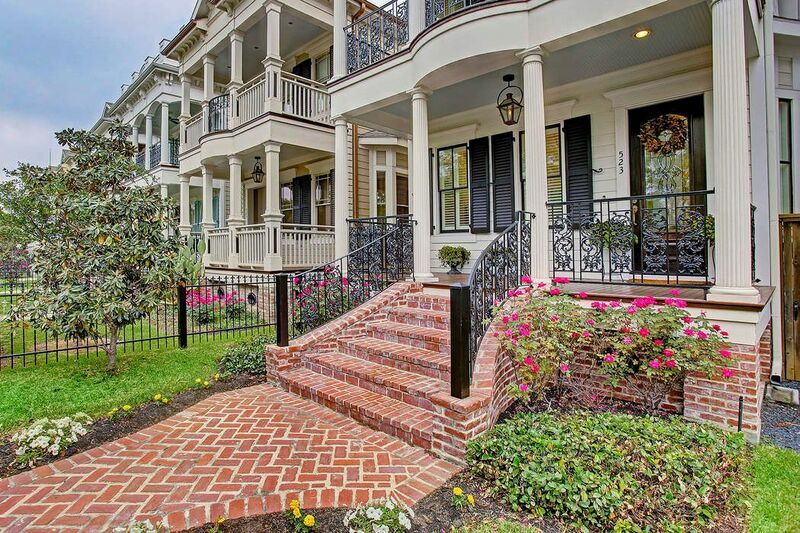 EXTERIOR; Follow the brick path to your future home! 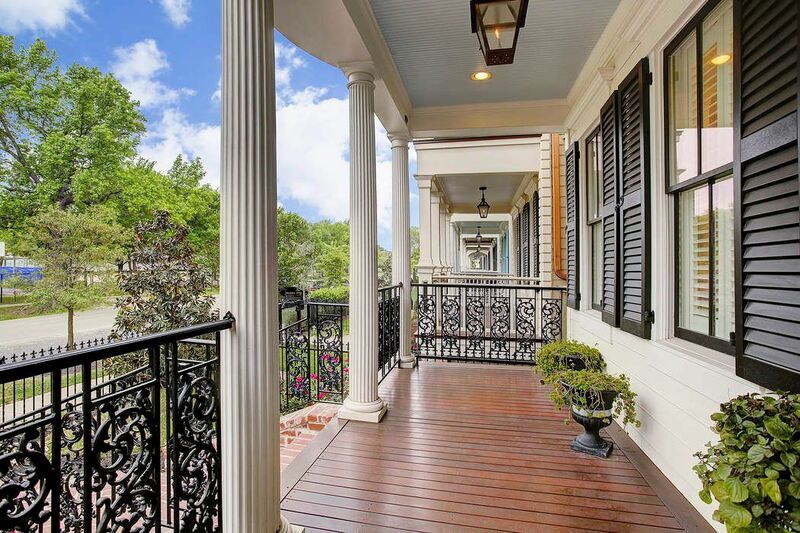 FRONT PORCH: Just like old times, this modern version is just as cozy and welcoming. 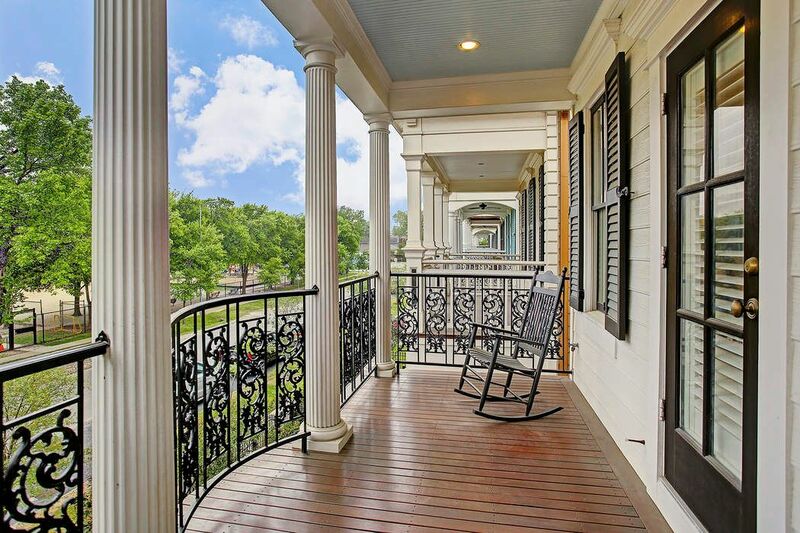 Add a bench swing or a couple of chairs, relax and waive hello to passing neighbors! 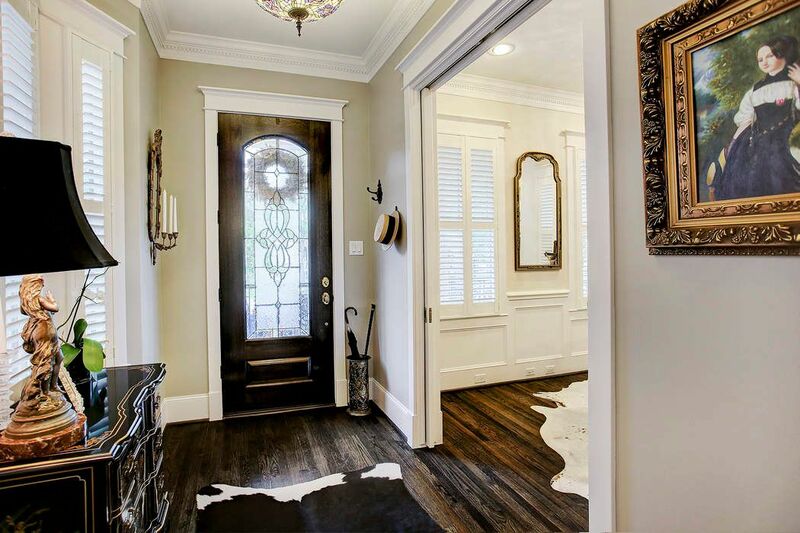 ENTRY: Wood flooring and crown molding throughout adds to the appeal and charm of this inviting home. 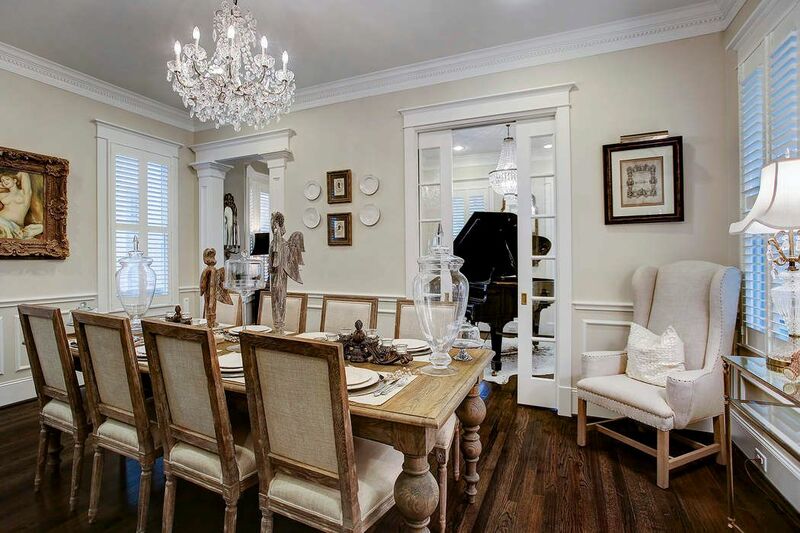 DINING ROOM: Imagine entertaining your guests in this intimate place. 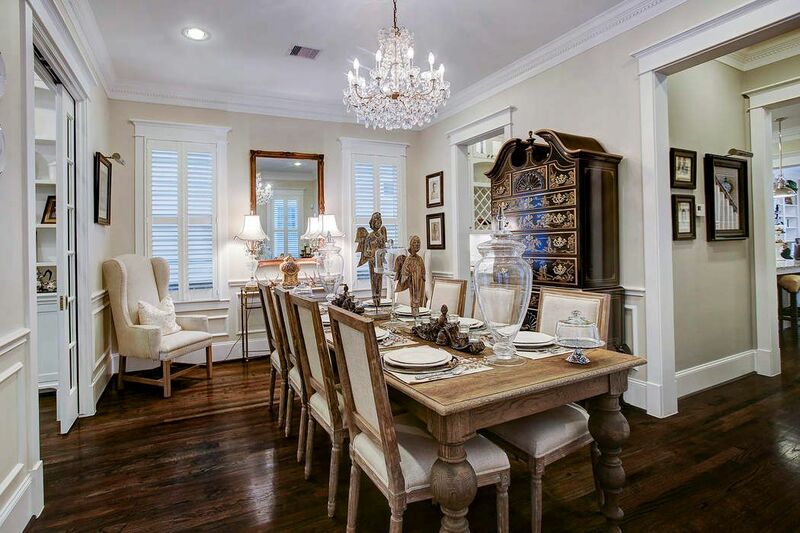 The current owner has hosted many fabulous dinners here! BUTLER'S PANTRY: Conveniently located between the dining room and the kitchen. 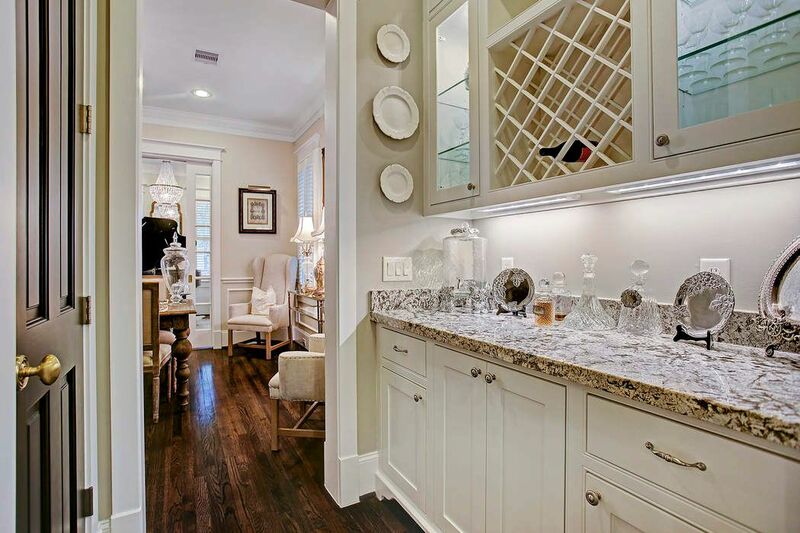 Notice the built-ins, wine storage, and there is a walk-in pantry to store larger items. STUDY/SITTING ROOM: To the left of the front door is this beautiful room currently used as the piano room. 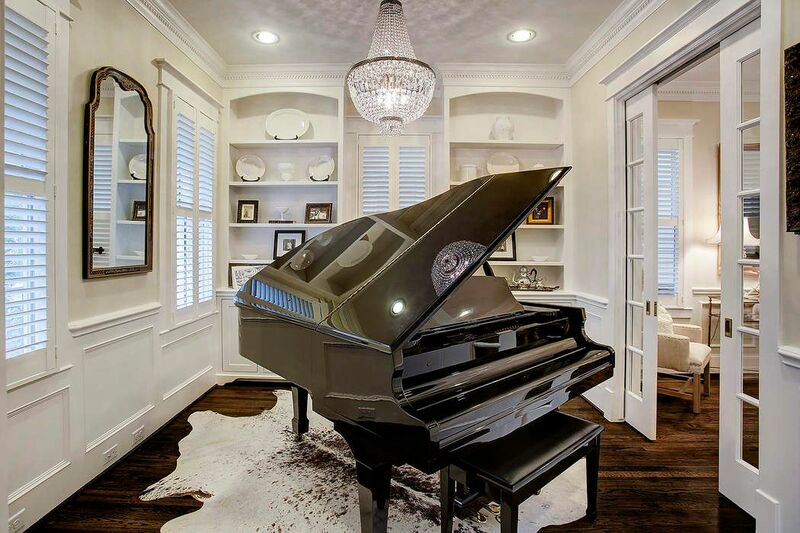 Notice the built in shelves and cabinets. It can transition into a lovely study or sitting room. 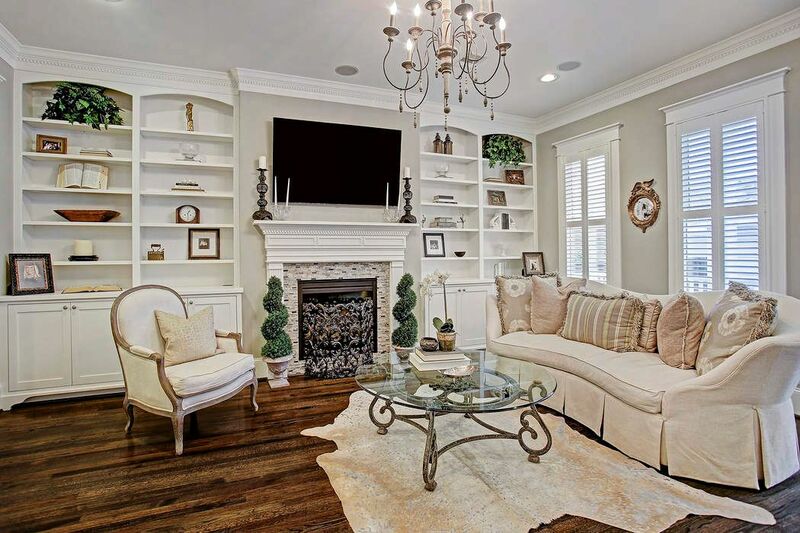 LIVING ROOM: Southern charm at its finest here! 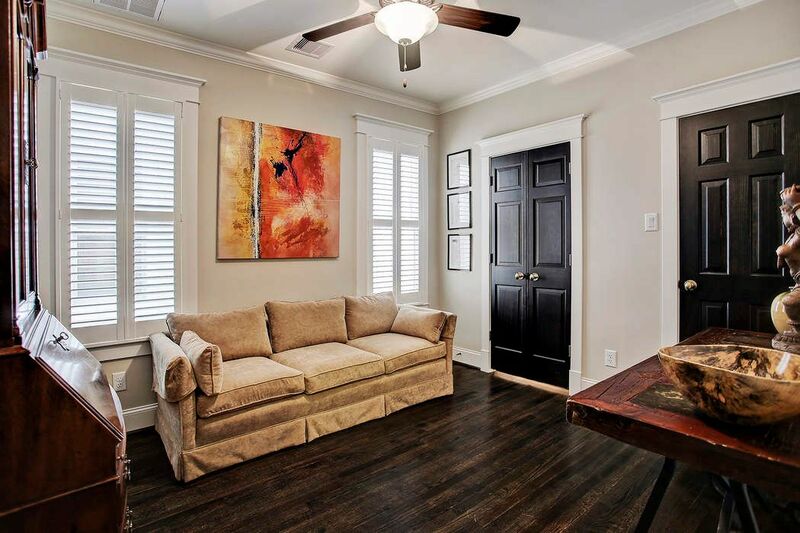 Wonderful upgrades such as the cabinetry, fireplace, window shutters, and surround sound speakers. LIVING ROOM: Flowing off from the kitchen leave no guest behind! 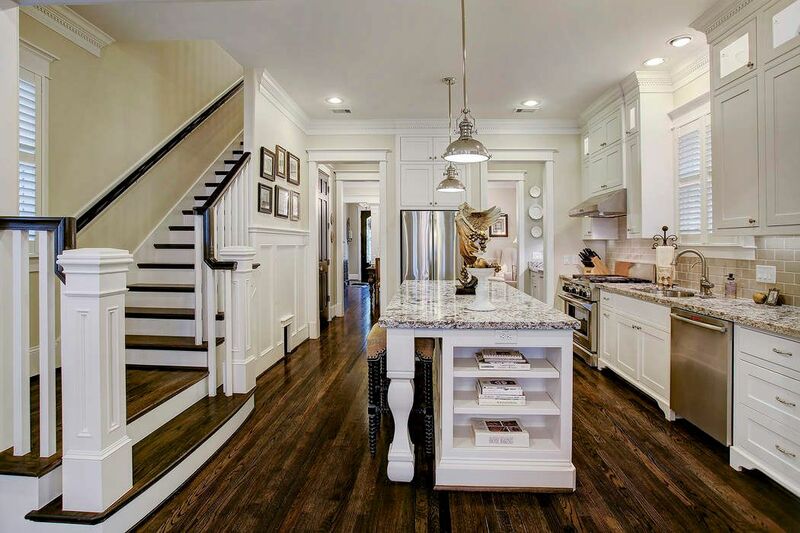 Gleaming hardwoods grace the entire 1st floor. 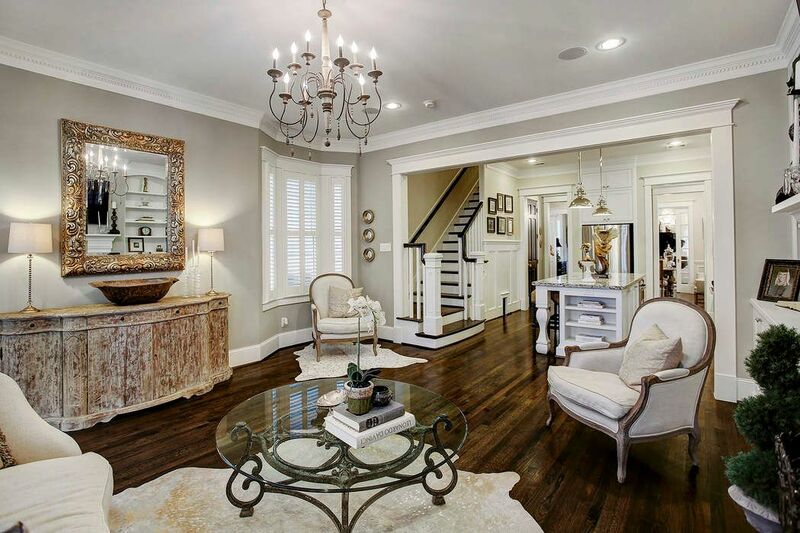 The neutral palette provides the perfect balance for a fresh look. 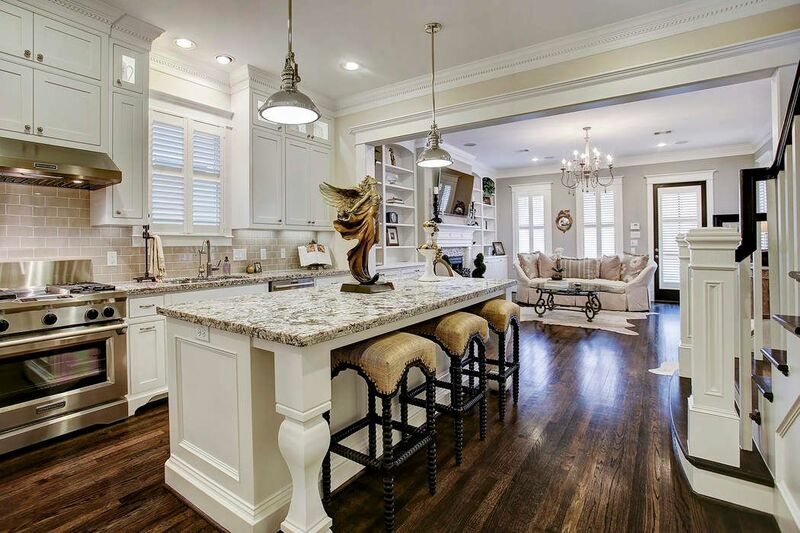 KITCHEN: Cook in this gourmet kitchen! No expense spared with stainless steel appliances, gas range, island with built-ins, plenty of work and entertainment space! 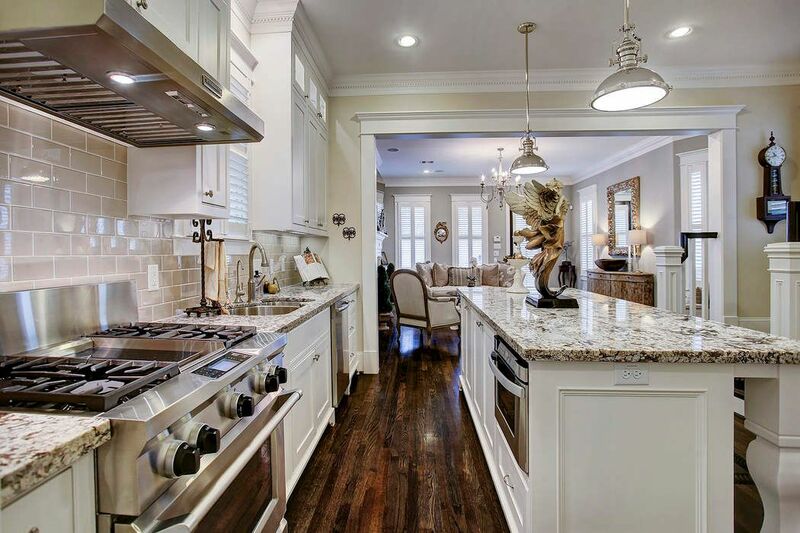 KITCHEN: Spacious, island seating, including tasteful modern upgrades! 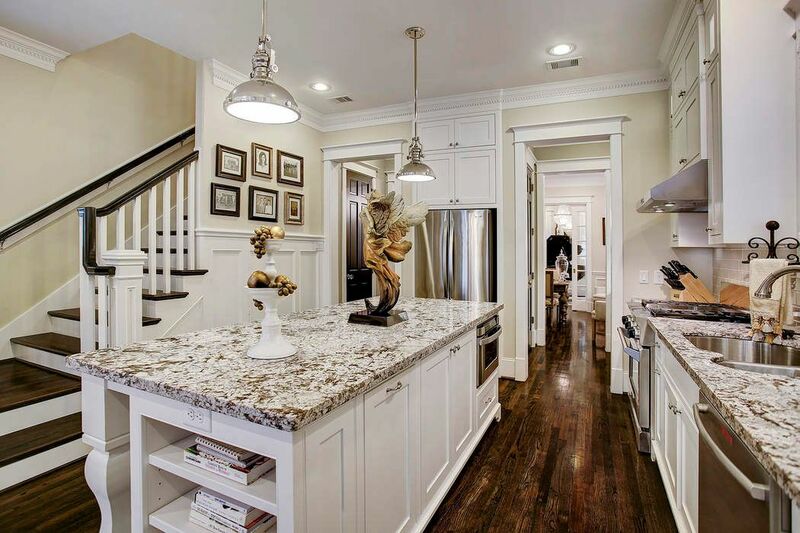 KITCHEN: Top of the line stainless appliances, custom cabinetry with built-ins for ample storage. 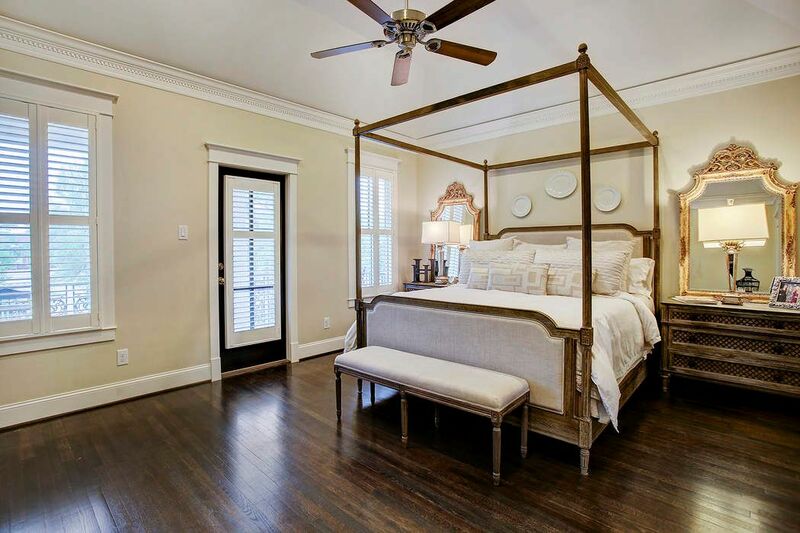 MASTER SUITE: Upgraded wood flooring, ceiling fan, door leading to your private balcony! 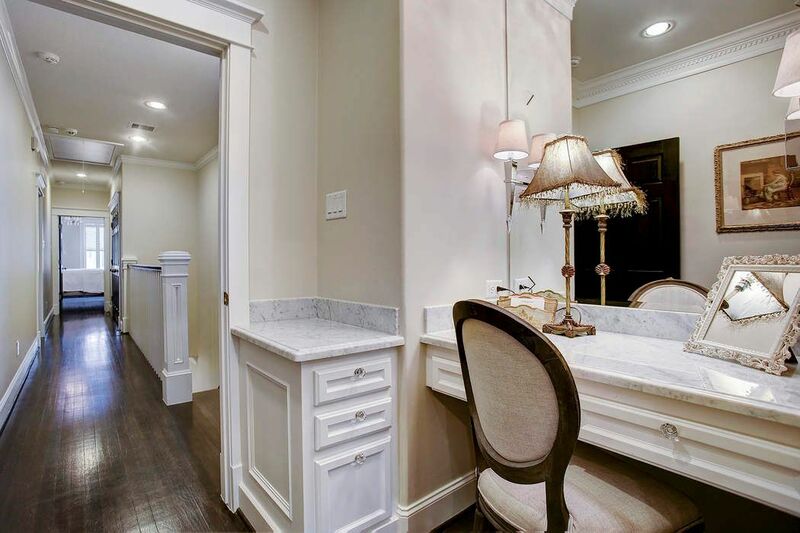 MASTER SUITE: Lovely vanity. Could transition into a coffee bar! 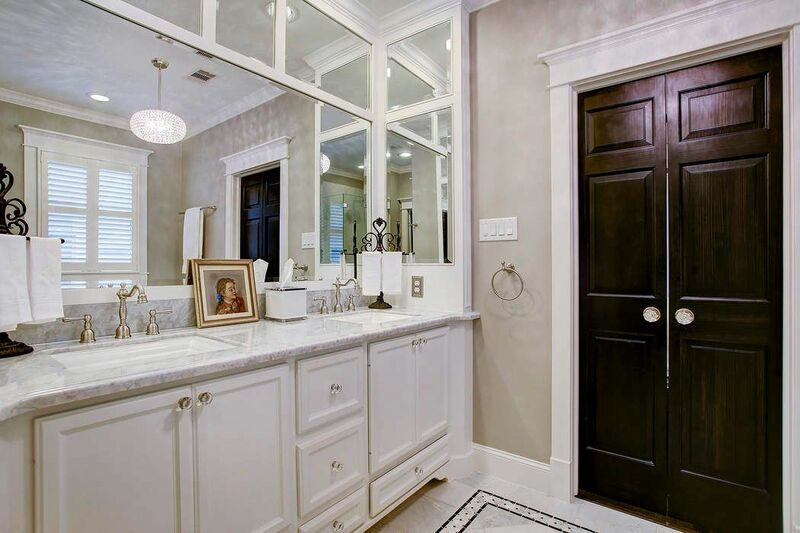 MASTER BATH: Double sinks, large mirrors. 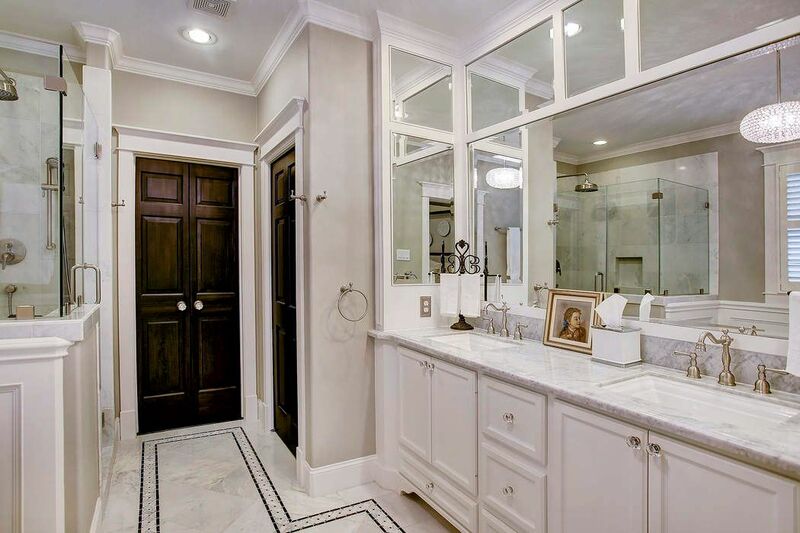 MASTER BATH: Tasteful marble counters, double sinks w/ storage, separate seamless glass shower. 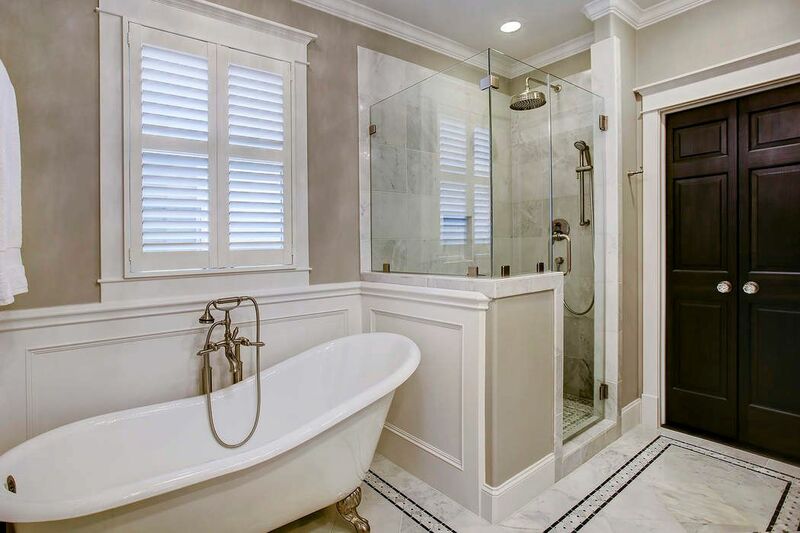 MASTER BATH: Relax in the soaker tub or take a quick rinse in the seamless glass shower! 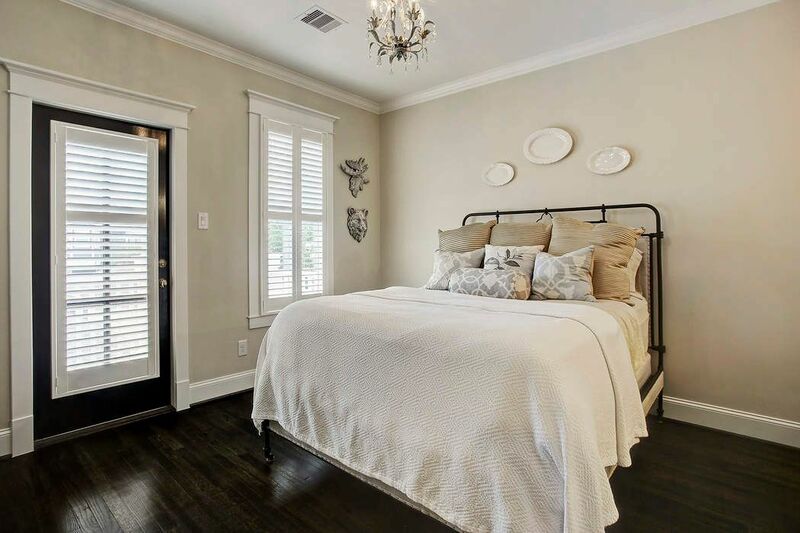 MASTER CLOSET: Oversized with built-ins and upgraded wood flooring. 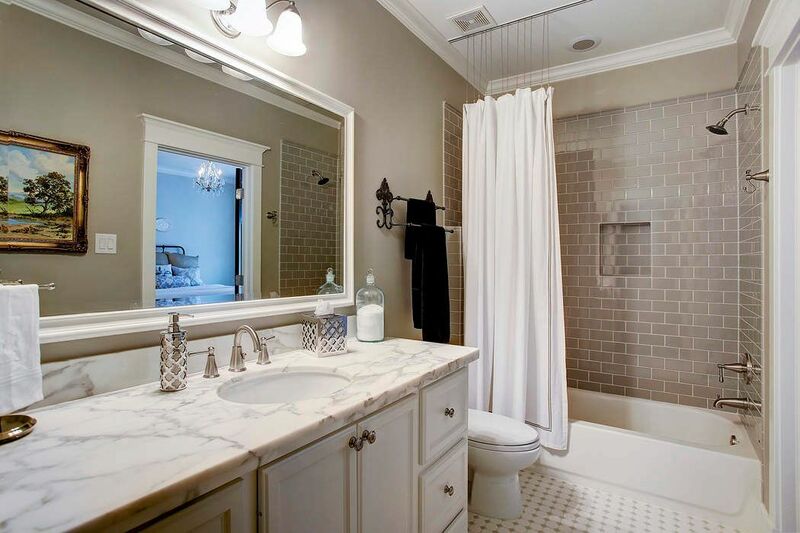 GUEST BATH: Marble counters, tasteful tile flooring, with a shower/tub combo. 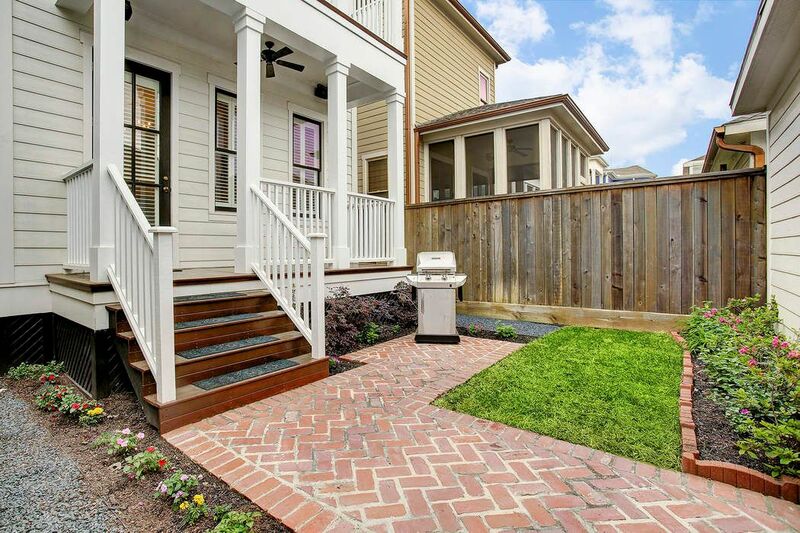 BACK PATIO: Paved with grass and landscaping. Perfectly contained for people and pets. Leads to the detached 2-car garage. 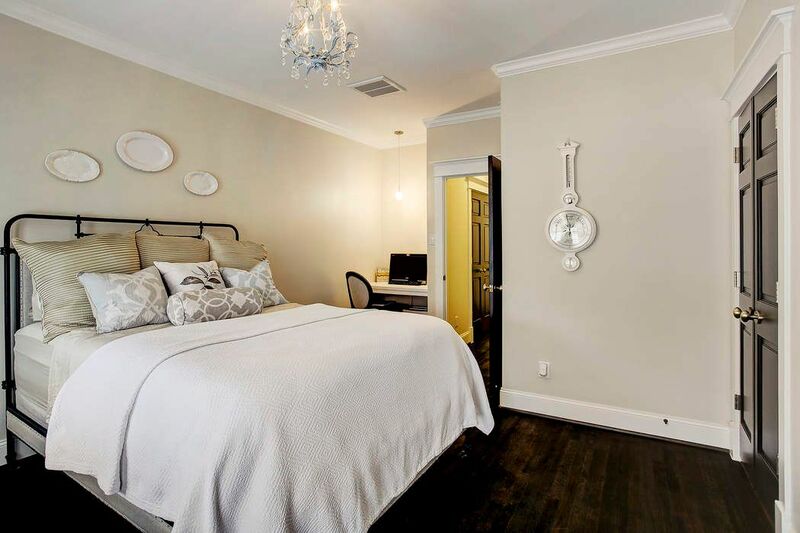 $725,000 3 Bedrooms2 Full / 1 Partial Baths2,314 sq. 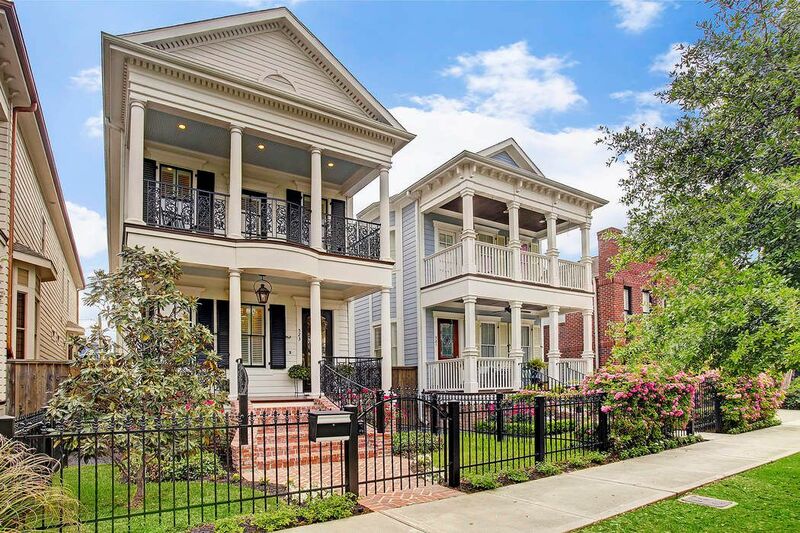 ft.
Pristine New Orleans architecture meets the down home living charm of The Heights. 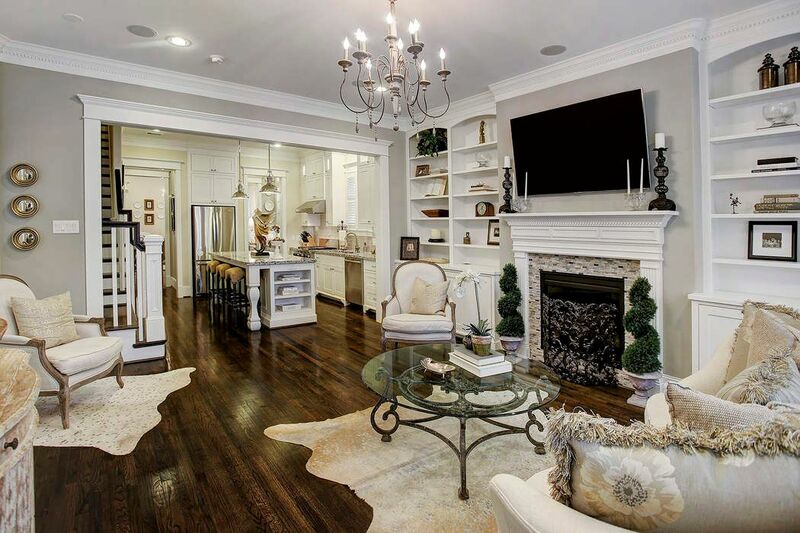 Built by Sullivan Brothers, this home is full of designer upgrades including crown molding, built-ins, block paneling, marble counters, light fixtures, including energy saving features. 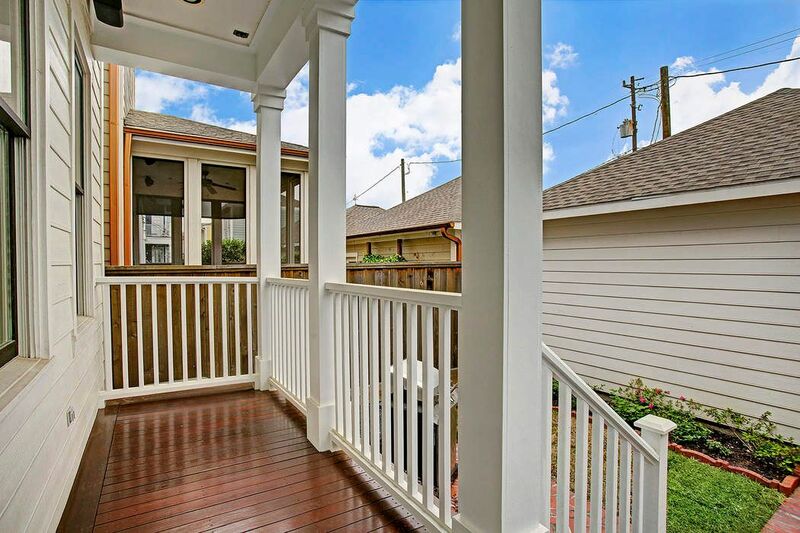 An indoor/outdoor lifestyle featuring balconies, porches and a paved patio with grass too. 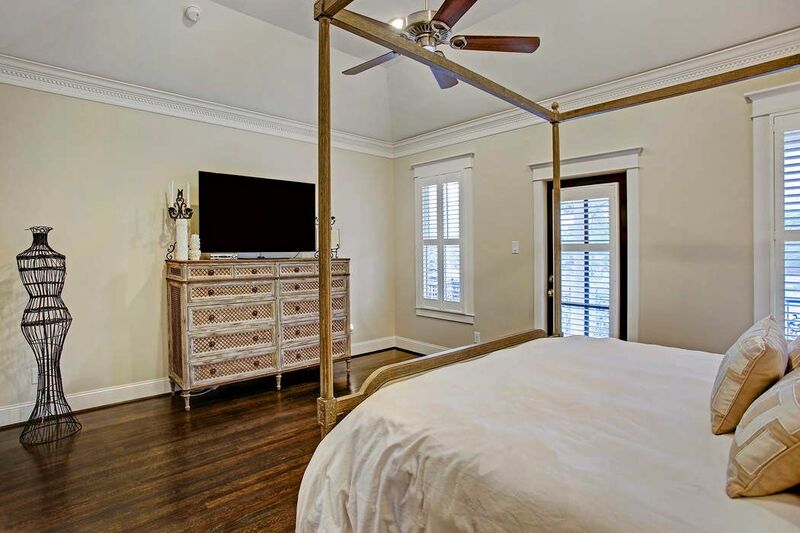 The neighborhood is only one block from Heights Hike & Bike Trail, walkable to restaurants, ample parking out front, and convenient to major freeways to get you to Downtown, The Med Ctr, Galleria, or anywhere you need to go!